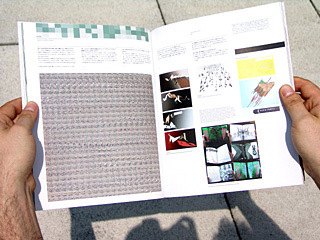 Please see pdf that includes the Japanese version. |Intro| Even from their very first project Trans-form magazine, you could immediately recognize the flair and originality in FL@33's work. It had a distinctive graphic style, composed from a variety of technical methods relating to the subject-matter on display. The magazine had a clever, fresh and sometimes poetic feel to it. Since setting up FL@33, Agathe Jacquillat and Tomi Vollauschek have had the opportunity to work in many different areas, from illustration and print design to motion graphics and Internet-based projects, always coming up with unique concepts and playful ideas. Recently, they published a book about their work, which forms part of the design&designer series from French publishers, Editions Pyramyd. We interviewed them in their studio and home in East London. +81: Do you think the way you approach of your work has changed in any way since you first started? ... if we have the choice, the most appropriate medium, for each individual project. +81: When you get a brief from a client, what do you do first? Tomi Vollauschek (TV): We do our research into the subject matter, listen carefully to our clients and then suggest and discuss the different possibilities. This important, initial exchange with the client almost always helps the project to be pushed further than expected, so that everybody, us included, is happy. +81: What is the process behind your work? AJ: When embarking on a project, we usually come up with individual ideas and discuss pros and cons before focusing on the most appropriate starting point. 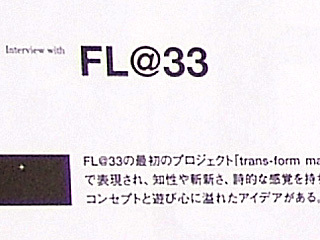 We used to have very different skill sets when we started FL@33. Tomi has a strong typographic background and was already experimenting with moving images when we met, while I have a stronger background in photography and it used to be easier for me to create intriguing new layouts. Nowadays – nearly five years after setting up our studio – I have to say that we've learned a lot from each other and we now do pretty much the same things. +81: Tell us what it was like working on the Royal Festival Hall project? TV: We were commissioned in 2002, just eight months or so after setting up FL@33, to create three seasonal brochure covers, various images for posters, brochure dividers and leaflet covers for the Royal Festival Hall Classical Music campaign, 2002/03. 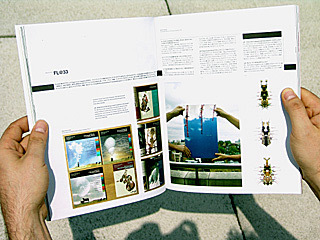 The Art Director at their in-house design studio had seen our self-initiated, self-published architecture, art and design publication Trans-form magazine. ___ We were really excited about this commission. We were responsible for taking pictures of bizarre medieval instruments, while getting real-time explanations from their owners, all kinds of musicians in action; and then for design itself – the creation of surreal, intriguing and inviting imagery. The images were created in a ping pong fashion, where Agathe would start a composition, I would then add elements and Agathe would finish it off, or vice-versa. We would go back-and-forth like that. 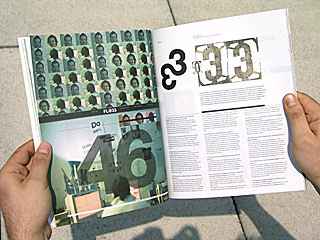 +81: Can you tell us about Trans-form magazine? TV: Trans-form magazine is a multi-media celebration with a large scale magazine, an attached CD-Rom, and the website trans-port.org. It celebrates the beauty of tower cranes which appear and disappear in our cities. We treated the tower cranes as pieces of art, as sculptures really. We interviewed crane operators 30 metres above ground and created and animated crawling cityscape insects with tower crane legs. The publication includes photography, photomontages, line drawings, typography, animations and lots of information on how tower cranes work, etc. +81: Do you have any projects which you are especially proud of? TV: Besides our Trans-form magazine which was a really important project for us, we really enjoy working on another two self-initiated FL@33 projects: bzzzpeek.com and stereohype.com. These are two more or less interactive projects which help us to network a lot, and by doing so allow us to get to know plenty new and interesting people. +81: Could you tell us about your philosophy, 'Power of 3', and about intellect, technique and emotion? TV: We do not really consider the 'Power of 3' to be a strict rule. We always encourage spontaneous and purely visual experimentation, which very often helps us to find intriguing starting points. It is more like a guideline that we simply try to keep in mind. 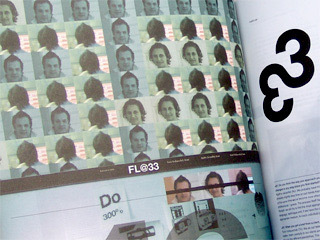 AJ: FL@33's mission is to create a professional, vibrant, fresh and artistic body of work while keeping a balance between commissioned and self-initiated projects and publications. It's the fine balance of intellect, skill and emotion – a very helpful philosophy we first heard about at the Royal College of Art. 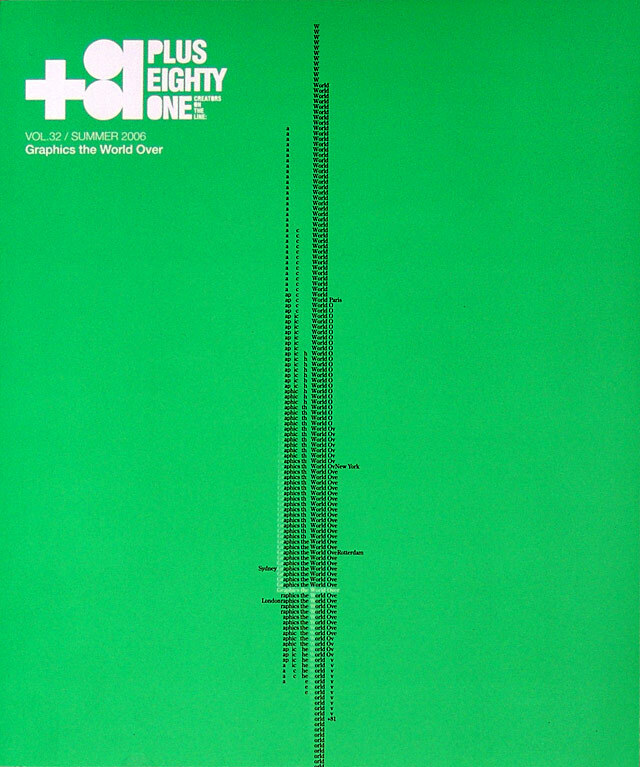 +81: How have new developments in computer technology influenced graphic design? TV: Even though more and more designers start and finish off their projects on their computer-screens, I strongly believe that the computer is just a tool. New software enables to produce high-level visuals on the surface, which may be a starting point to create stunning new imagery. However, innovative concepts and creativity are mainly dependent on designers themselves, rarely on tools. +81: What do you think are the current, worldwide trends in graphic design? TV: It seems like there is an increasing amount of small studios and independent designers out there who try to walk the extra mile. Those designers who strongly believe that a certain standard in graphic design needs to be maintained or even improved upon, and who, as a result, are attracting clients because of this very high standard the designers are setting themselves. FL@33 is trying to do the exact same thing: work harder for our beliefs, and thereby attract clients who appreciate this and will be encouraged to call us up. +81: Could you tell us about the graphic design scene in London? AJ: When we came to London, we thought that illustration and image making here in 1998/99 seemed to have a much bigger influence on graphic design than anywhere else. Generally we experience the British and in particular the London design scene as particularly vibrant and refreshing. One thing is for sure, though – there's an unbelievably high percentage of talented people here in the UK. +81: Is there any graphic designer or a certain piece of work that you especially admire? AJ: To point out a certain designer, studio or one piece of work is almost an impossible task. It is incredibly interesting, however, to see how much emerging, international talent there is out there, asides from the countless designers we know about already. +81: What kind of client do you want to work for in your future? TV: We have so far successfully managed to attract a wide range of different clients from all kinds of areas. It is very important to us to maintain this healthy balance. We would nevertheless very much enjoy new projects within the fashion and music industries. For the complete profile please download the pdf, approx. 5.3mb.